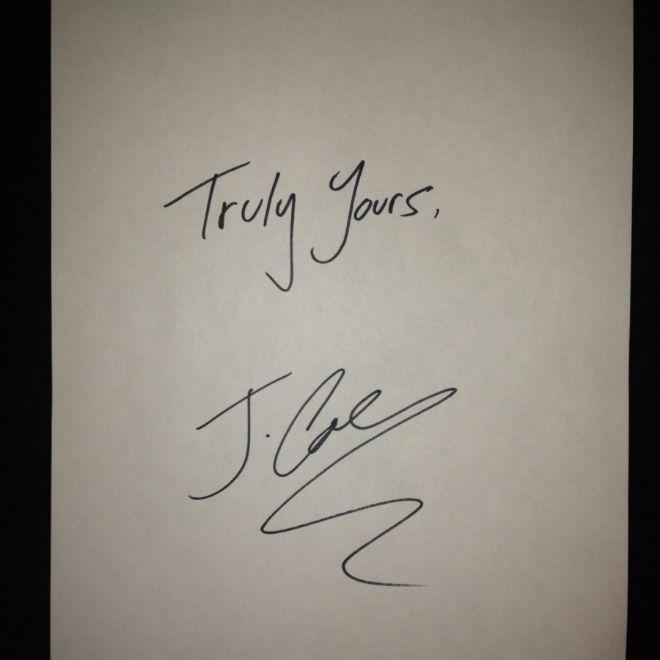 Nice surprise from J. Cole early in the morning with a free EP called Truly Yours, featuring a five tracks that apparently did not make the cut on the rapper's upcoming sophomore album, Born Sinner. But with any J. Cole material, even the throw aways are pretty dope, so much respect to him for giving the fans something to bump while we patiently wait on the next record. You can read his statement about the EP on his website here.